An estimated 7.9 million kids in the U.S. live in "food-insecure" households. This means there&apos;s not always enough to eat at home. But when these kids go to the doctor for a check-up, or a well-child visit, the signs of malnutrition are not always apparent. So pediatricians say it&apos;s time to start asking about it. Kids and parents often shy away from talking about their struggles. 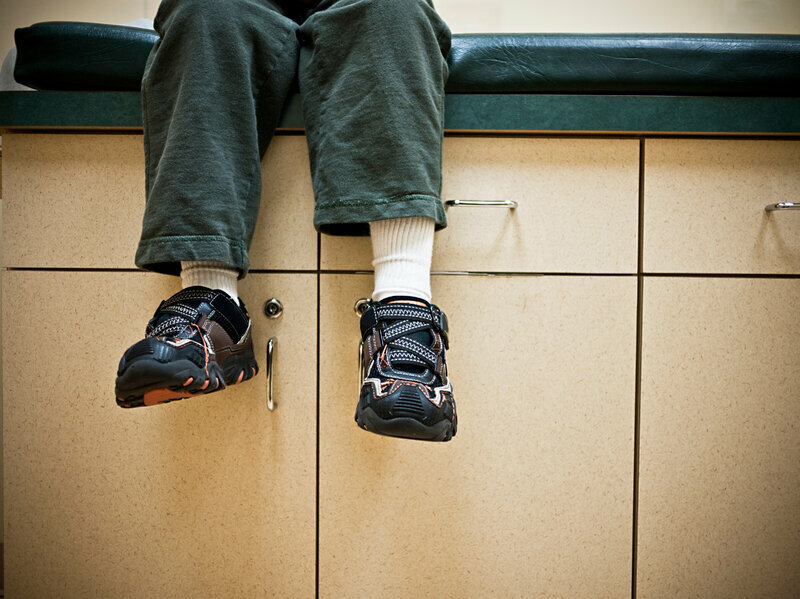 "They&apos;re embarrassed, or they don&apos;t think the doctor will care," says pediatrician Sarah Jane Schwarzenberg of the University of Minnesota Masonic Children&apos;s Hospital. Within the past 12 months, the food we bought didn&apos;t last, and we didn&apos;t have money to get more. Yes or No? As we&apos;ve reported, America&apos;s wealth gap manifests on our dinner plates. Families who rely on SNAP — the federal Supplemental Nutrition Assistance Program, also known as food stamps — tend to eat about the same number of calories as higher-income Americans. But when it comes to nutrient-dense foods, such as fruits and vegetables, SNAP recipients eat less. "Some families do rely on starchy, filling foods that may not provide all the vitamins and minerals they need," says Schwarzenberg, who co-authored the AAP&apos;s new policy. There are myriad health problems linked to poor nutrition. "Hunger, malnutrition and food insecurity are tied to adult cardiovascular disease, obesity and diabetes," Schwarzenberg says. Lack of adequate healthy food can impair a child&apos;s ability to concentrate and perform well in school and is linked to higher levels of behavioral and emotional problems from preschool through adolescence. The new AAP policy statement, which is published in the journal Pediatrics, also recommends that pediatricians keep on hand a list of community resources, such as food banks. "Pediatricians can have this information at their fingertips" to share with their patients in need, Schwarzenberg says.